Despite the fact that previous rumors claimed Samsung won't be releasing Android Marshmallow updates for the original Galaxy Tab S tablet, at least one carrier has decided to contradict these rumors. 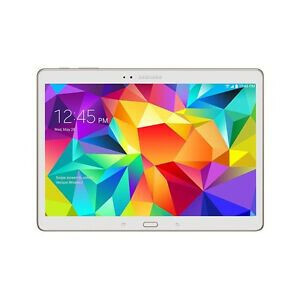 US-based carrier Verizon has just announced that Android 6.0 Marshmallow for the Samsung Galaxy Tab S is now available for download. Software version MMB29M.T807VVRU1CPG6 is rolled out OTA in waves, so it might take a few days to reach all Galaxy Tab S units. As some of you may already know by now, Android 6.0 Marshmallow brings many new features and improvements like Now on Tap, which allows you to get cards with useful information and apps the feed your thirst for knowledge, as well as Doze mode, which automatically puts the tablet into a sleep state, preserving battery charge. More advanced app permissions are available too, along with new pen settings and tools in Gallery, which allows users to unleash their creativity and share the fun with their friends. Aside from the new features added, Verizon also confirmed that some applications that are usually included on the tablet will be removed. The following apps won't be available on the Galaxy Tab S once you upgrade to Android 6.0 Marshmallow: VZ Navigator, Amazon Music, Amazon Appstore, e-Meeting (stub), and WebEx. In order to capture the update, make sure your Galaxy Tab S tablet is connected to a Wi-Fi network, or make sure that it has a strong Verizon network connection. Also, you need to ensure that the slate's battery is fully charged before starting the software update. Still no update for UK, Samsung has so much profits so why so slow with updates. I guess if the massively over skinning that slows them down. Have patience, the 6.0.1 update showed up this morning, September 21, on my WiFi-only S10.5 here in the USA. It was an almost 900GB download. Nice. I was going to be disappointed if Samsung never release the 6.0 update for this tablet. Even though Samsung say it was not going to release the update, but I'm a happy camper now. I went online after I heard that Austrailia has received thr updste.. There is a website called samsung-updates.com that list recent firmwate. My SM-T800 was using XAR (region) for it's 5.02 update. I simply downloaded the XAR for 6.0. I can say right now the firmware UI looks no different. But the bootloader is different and you can see the part when updating apps that surely tell you it's 6.0. It doesn't have the new settings ui or anything. It doesn't have the 6.0 icons or the flat look. Disappointing. But at least it got the update which will likely be thr last one.